Hi guys, I hope you've all had a great Halloween! Now that the Halloween season is over, if you're anything like me, you're already looking forward to Winter and Holiday collections. Whiskey Business is golden yellow shimmer with metallic flakes and a touch of microholo glitters. I used 2 coats plus topcoat. Get to the Poinsettia is a bright red linear holo. Perfect formula and an easy 2-coats coverage. Chai-huahua is a warm brick red creme. A spicy color with a smooth, self-leveling formula. I used 2 coats plus topcoat. A Walk in the Park-A is a smooth orchid cream is the ideal winter purple. Great formula and opacity. I used 2 coats plus topcoat but it was almost a one-coater. Ink Again is an ink blue linear holo. A deep and intense color. I used 2 coats plus topcoat. 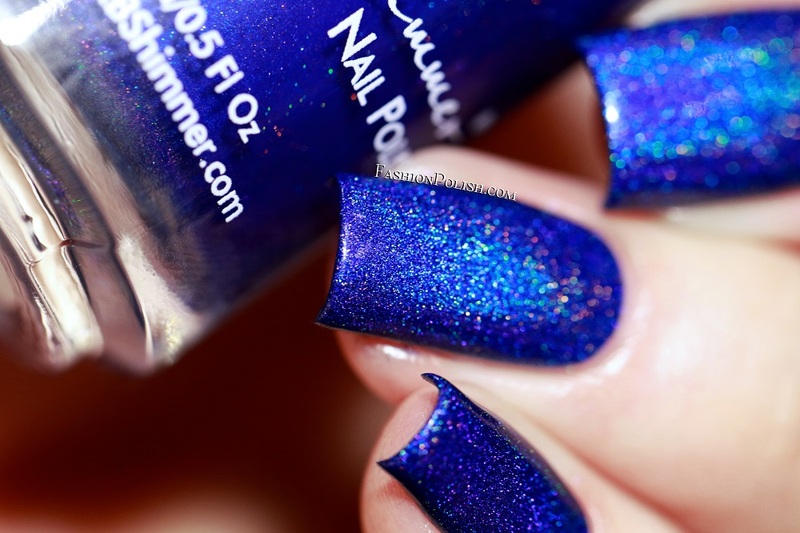 Have a Look-Ski is a blue-based teal linear holo. Again, I used 2 easy coats plus topcoat. The Holy Kale is a leafy green linear holo polish with blue to pink color-shifting micro glass flakes. Flawless application and 2 coats for complete coverage. Spruce Things Up is a Christmas green jelly packed with silver and holo microglitters. I used 2 coats plus topcoat in my swatches but it's a 2 to 3 coats coater. KBShimmer did it again with their Winter collection : beautiful Holiday-themed colors that apply like a dream and a naming game that proves to be, once again, simply on-point, I love them! 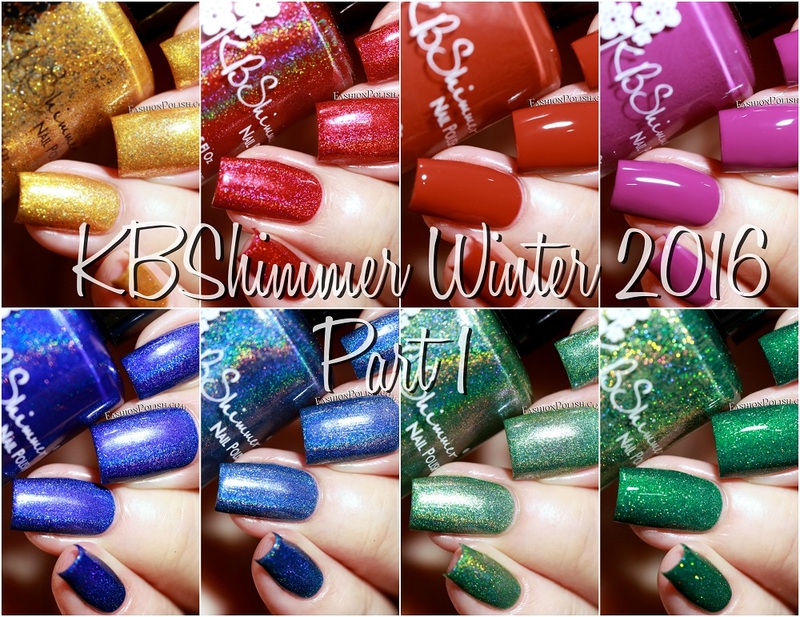 The KBShimmer Winter 2016 collection has just launched on Harlow&Co today (International shipping available) and retails for CAD$12.50 each, i.e. approx. $9.30 / 8.50€ / £7.60. Thanks for looking and stay tuned for my review of the second part of this collection!